After downloading the map, extract it in your 'Warcraft 3\Maps\Download' sub-folder. As this map contains lengthy changes, the changelogs are kept in a different page. 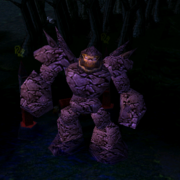 Read DotA 6.72d Changelogs. Tip: Get the latest DotA 2 updates & coverage at DotA 2 Utilities. new map 6.72e..fixed major firefly bug when no observer...pls upload fast. How to be A meneski?